Newbyte Educational Software - Industrial Design & Technology. 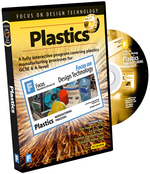 Below is a list of software we provide for Industrial Design and Technology teachers to assist their classes. 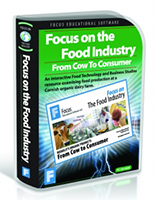 Investigate techniques involved in food production from cow to comsumer. Ice cream and fudge making. 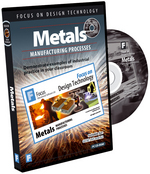 Investigate techniques involved in manufacturing metal based products. Follow the sequence of each process. 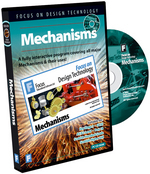 Focus on Mechanisms is a truly versatile program with a place in every Design Technology department. Each mechanism is clearly explained using animations, photographs, video and text. Ideal for use in conjunction with data projectors and interactive whiteboards. Based on real-life production facilities, this program effectively brings industry into the classroom. 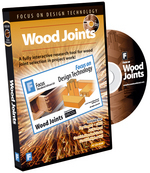 Interactive resource to help with the correct selection of wood joints in Design Technology project work. 80 photos of 'real-world' furniture, with close-ups of the joints being used. Exceptionally clear 3D models of 37 traditional joints. Special - Knock Down Fittings program included FREE! 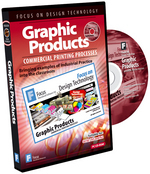 Investigate techniques involved in printing production. 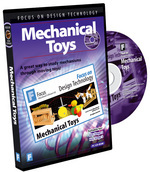 Investigate the basic principles of mechanical toy mechanisms. 2D drawing program helps students decorate their own rides. Includes most of the materials, components and fittings that Design Technology students may wish to use. An interactive program designed to aid in the teaching of projects based on Fairgrounds.